The GlowStep Revolution is the first and only trailer step system designed for all RV towables that is versatile and flexible to adapt to any type of terrain. 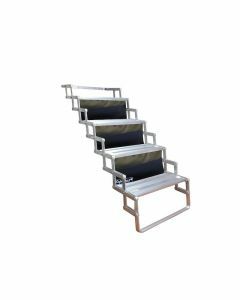 Available in a range of two to six steps, the GlowStep Revolution trailer steps are a perfect upgrade from your current travel trailer steps, 5th wheel steps and other towable RV steps. The RV step entry system is revolutionary for several reasons. 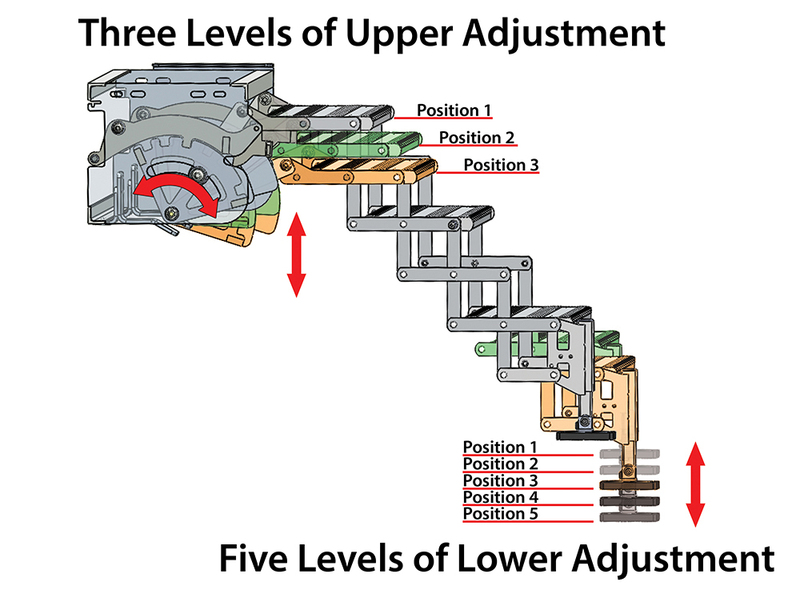 Featuring 7 inches of precision elevation adjustment, the GlowStep Revolution has 3 positions of upper adjustment between the RV entry and top step, plus an additional 5 positions of lower adjustment with the All Terrain Landing Gear adjustable feet. 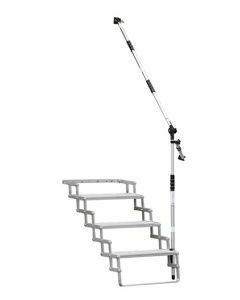 As the only trailer step in the world that feature this patented and unique level of adjustment at both the top and the bottom of the step system, this step for towables allows all options for accommodating any terrain. By connecting the RV to the ground (Earth to RV) the unstable and unsafe diving board feeling associated with factory RV steps is completely eliminated. The easy bolt-on installation fits into the factory step compartment, replacing factory steps. Since the steps are installed in the factory compartment, they remain conveniently outside the RV. 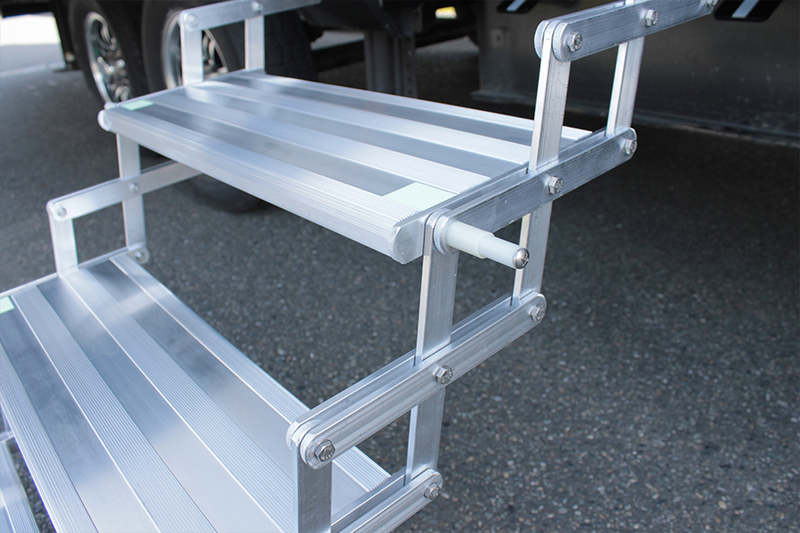 With a locking mechanism and quick release lever, these aluminum trailer steps for towables easily lowers and raises. In most cases, the steps provide a significant improvement in ground clearance while traveling compared to a factory trailer step. 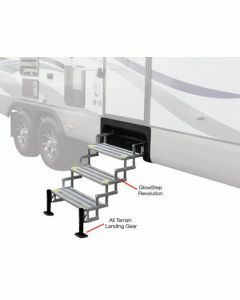 The multi-link hinge design of the GlowStep Revolution RV steps better accommodate most space constraints so you can park closer to structures, trees, service bays or inside of a storage facility. 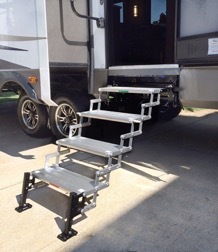 These RV steps can be easily extended in tight spaces unlike other step systems that require additional space for clearance. Instead of being blocked out of your RV by step ladders that store inside the entry way, access your RV any time – even if it’s just to store some last-minute groceries while on your way to your camping destination. Drawbridge style steps that fold up and store inside the RV fling and dump dirt, water, sand and other unwanted debris all over you and inside your trailer. With GlowStep Revolution steps, avoid any unnecessary mess. Unlike other trailer entry steps, the GlowStep Revolution is truly a complete step system. The system is tailored to you with the options of adding the GlowGuide Handrail, SafeStep pet barriers and DirtDestroyer shoe cleaning attachment. Available ranging from two to six steps, steps can easily be added and removed so you can take the GlowStep Revolution step entry system with you when you trade in for your next RV. In contrast to steps that drill into the vinyl and wood of the RV’s entry threshold, GlowStep Revolution steps are completely bolt-on. 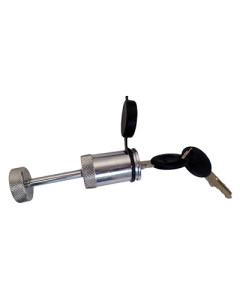 This avoids vulnerability to possible water damage from drilling holes, and upholds the value and integrity of your RV. 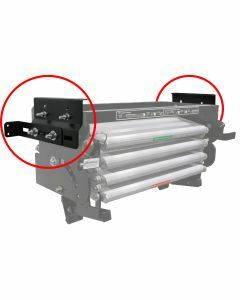 With applications to fit industry standard measurements of 27.5" or 25-25.5” width step entry openings, use the GlowStep Revolution Spacer Kit or Vertical Stud Adapter bracket for installation on any trailer or fifth wheel.GlowStep Revolution comes backed by our Legendary Lifetime Warranty and is proudly made in the USA. 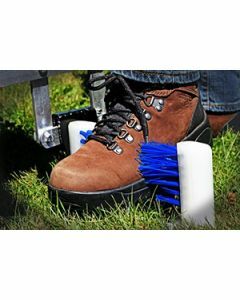 If you are in the market for great RV accessories, take a look at the GlowStep Revolution, GlowGuide, DirtDestroyer and SafeStep accessories to ensure you never have to settle for less. 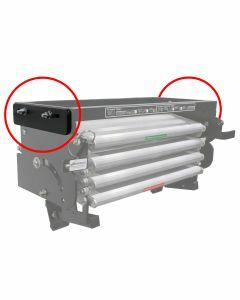 Apply the GlowStep Revolution Spacer Kit to achieve installation of the GlowStep Revolution step system in applications where the width between factory mounting brackets on your towable is between or larger than the standard factory measurements of 27.5” or 25-25.5”. The kit includes eight ¼-inch thick steel spacer plates and longer hardware to ensure seamless installation, adjusting the factory bracket width to accurately fit the step mounting location. The GlowStep Revolution Vertical Stud Adapter Bracket is made specifically for trailers without vertical brackets that extend out perpendicular from the trailers frame or “predrilled step frame outrigger mounting brackets” to install the GlowStep Revolution. The Vertical Stud Adapter Bracket is attached underneath your step opening allowing the GlowStep Revolution to bolt directly to the bracket.